Ever feel totally overwhelmed with homeschooling? Sometimes you feel like you’ve got it all together and other times you feel like you are failing. Homeschooling is tough. It can be very easy to fall into the trap that we are doing it alone. When we have those discouraging days, one of the best things you can do is learn from someone who has been there before. I love reading and have read my fair share of homeschooling books. When you need encouragement, some practical how-tos, or even some funny stories to let you know your not alone, learning from others is one of the best things you can do. 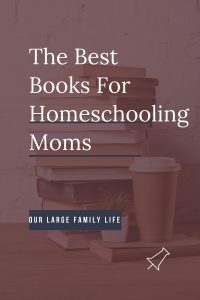 Here are some of my favorite must-read books for homeschooling moms. The Best Books For Homeschool Moms To Read. This was the very first book I read about homeschooling. I read it before any of my kids started school and it really solidified in my mind what I already felt called to do. It’s an older book, but definitely worth the read. This is the book that introduced Classical education to me. I’d heard the word thrown around before but really wasn’t sure what it meant. I also knew there was something missing in how we homeschooled but I couldn’t put into words what it was. This book spoke to me and pretty much flipped around everything we did. And I’m so glad it did. I visit this book quite frequently when I need reminding of why we have chosen this philosophy as well as how to practically live it out. For all the mamas who are getting overwhelmed on what curriculum to use or what books to read when, plus trying to fit it all in, this book is for you. Sarah gives you permission to focus on what is truly important in our kids’ lives, bring joy back to our homeschool, and really put things in perspective. This is definitely a yearly read. The Home Education Series was written by Charlotte Mason and is a six book series. Now even if you don’t carry out Charlotte Mason’s educational philosophy, it’s still full of great information on how to relate to children and things they need. I find it has so many practical tips for parenting and child-rearing that it would be worth the read even if you don’t follow the schooling methods. For The Children’s Sake was such a good read for me. It really spoke to what I pictured for our school and family life to look like. I’ve always wanted our life to be one of togetherness, not everyone running in different directions and always doing things individually. The book speaks to doing life together and the impact it makes on the family. 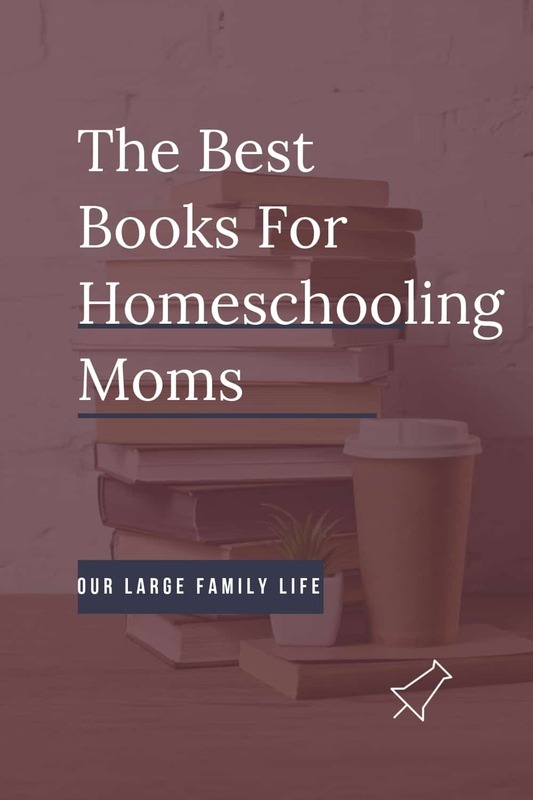 While this book touches on homeschooling, it really about what your family life looks like and since homeschooling is part of that, I found this book really helpful. It helps you think about what you want your family dynamic to look like. I loved this book by Cindy Rollins. It chronicles her journey through homeschooling 9 children. You get the ups and downs, how she was able to make it work with so many children, and what she learned along the way. So encouraging for moms with lots of kids to see how this practically works. I’ll be honest, I’m still making my way through this book. If you are looking for information on all aspects of schooling your children, this is it. It is like the well-trained mind in that I use it for reference. If I need to know about something I go look it up. I’ve always loved Sally Clarkson and she and her husband do an excellent job in this book. If you are overwhelmed or frustrated with homeschooling, this is the book for you. This book helps you take a step back and look and what really matters when it comes to homeschooling. It can be so easy to get caught up in all the things we “have” to do. This is a quick read that will refresh you as you continue your journey. Homeschooling is definitely something you have to be called to do. It’s a huge job and one that can come with a lot of pressure. Learning from others can help us do our job well, especially if we aren’t in a homeschool community. Whether you are a new homeschooler or a veteran homeschooler, I think we can always learn something new or be encouraged. What are your favorite homeschooling books?